After almost five months and around 300 trips, the novelty of riding in a CNG-powered auto-rickshaw still hasn’t worn off. I’m not sure whether I’m being immature, or if they are genuinely as much fun as I make them out to be. Public opinion seems to be divided — at least in The Daily Star office. After a quick survey, I found that some regard CNGs as dust-prone, uncomfortably bumpy, and erratically priced. Others appreciate that a journey in a CNG costs less than a taxi, and some said that a CNG is more comfortable and spacious than the bus. One colleague said he will never travel in a CNG alone again. He has been mugged twice and stabbed once. Notwithstanding the potential dangers, I’ve come up with a few reasons to justify my enthusiasm. 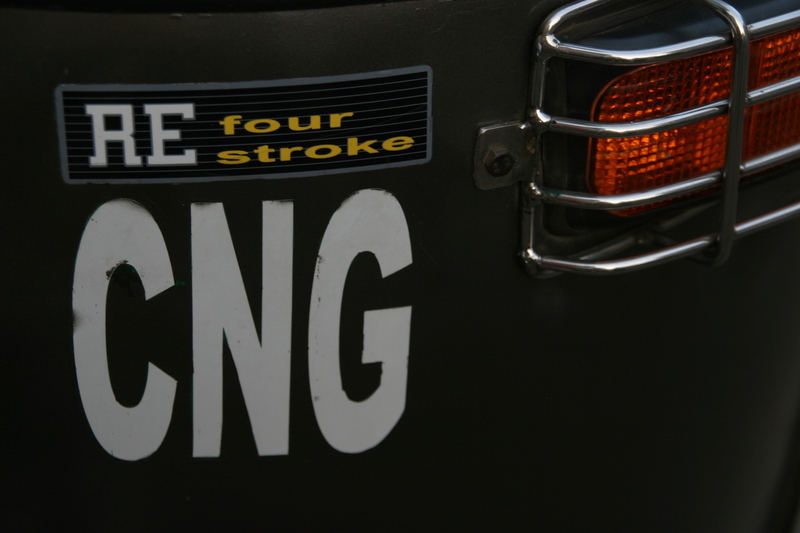 Firstly, I associate the CNG with happy memories from my childhood. Being locked inside the caged compartment reminds me of an amusement park ride: the type that vaguely resembles a ferris wheel, but the compartments flip 360 degrees, human-washing-machine style. And as a tomboy Australian kid, I loved zooming up and down the driveway on the ride-on lawnmower, which is a bit like a miniature version of a CNG. However when I ran over my father’s apple tree, the keys were temporarily confiscated. Nowadays, it’s all fun and no responsibility if we hit something. I’m also an impatient person, so I appreciate the CNG’s zippiness. As CNGs are around two-thirds the width of a car, their passengers must surely be the envy of those in four-wheel vehicles, because the former can out-manoeuvre the latter in the majority of traffic jams. Occasionally, the style of manoeuvring is taken to another level – it’s what my colleague describes as “stunt driving.” I remember being driven along the footpath by a driver who didn’t want to wait for a jam to clear up. However chancing it on the pavement didn’t work out so well — we became stuck behind a row of rickshaws who had decided to do the same and there was then no alternative but to reverse back down to the road. We were at the mercy of grumpy drivers who had been waiting for longer than us. We were stuck on a tilt, with two of the wheels on the pavement and the third on the road, for almost 15 minutes. Another reason why I like riding in CNGs is because anecdotes accumulate; whether it’s the sights on the street or an oddball driver. Although I could have witnessed the events I’m about to describe in any mode of transport, when I’m in the cloistered backseat of a CNG I’m a silent witness, seeing but unseen, and I’ve no apprehension of becoming involved. And at any rate, the fact is that I was travelling in a CNG when these memorable things happened. I say “memorable” because they weren’t necessarily positive experiences, but they were certainly exciting. Something I’ll never shrug off was driving past a ragged-looking man without legs doing stomach crunches. It was very early in the morning and he was on an isolated part of the footpath close to Dhaka University, so I believe the exercises were part of his morning ritual as opposed to some sort of performance to attract taka. Who is this person, who rises early to exercise despite the fact he has no home and no legs? If asked to provide an account of human resilience, I would begin and end it with him. There have been other poignant moments; when I have no change to give to someone who looks desperately needy, or when I am struggling to find less than 10 taka in my purse before the traffic lights change. 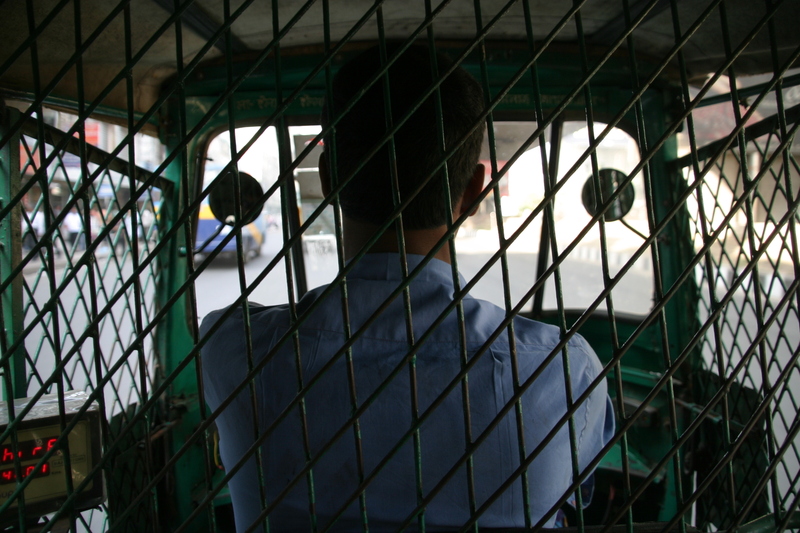 I’ll never forget an old man who ran alongside the CNG, panting, with two of his fingers pressed inside the metal cage as I fumbled for a note. He did all that for two taka. My second worst experience in a CNG happened quite recently, when a freak electrical storm hit Dhaka. I was stuck at an intersection close to Karwan Bazar when the wind picked up… at the grand speed of 103km per hour. Unidentified flying objects tried to enter my eyeballs so I put my sunglasses on despite the fact that black clouds had swept over the sky. Lashing rain, hail stones the size of a bully’s marbles and the aforementioned winds whipped through the cage at practically a 90-degree angle. The water on the road was rising fast and pedestrians were running for cover at breakneck speed. When I heard people screaming, I called my boss to ask whether a cyclone warning had been issued (I am aware that this was a bit dramatic). The network was busy and I thought, “This is how scary movies start — everyone calls someone to say goodbye…” My teeth were chattering and the driver looked at me sympathetically and handed me a checked cotton scarf. I think it was intended to dry my seat, but I used it as a shawl. A very long while later I turned up to work looking a bit like a drowned rat. I was sent home to dry off and it was one of the few occasions when I bought myself flowers at an intersection. The most horrible experience I had in a CNG was after leaving Drik Gallery in Dhanmondi a couple of months ago. 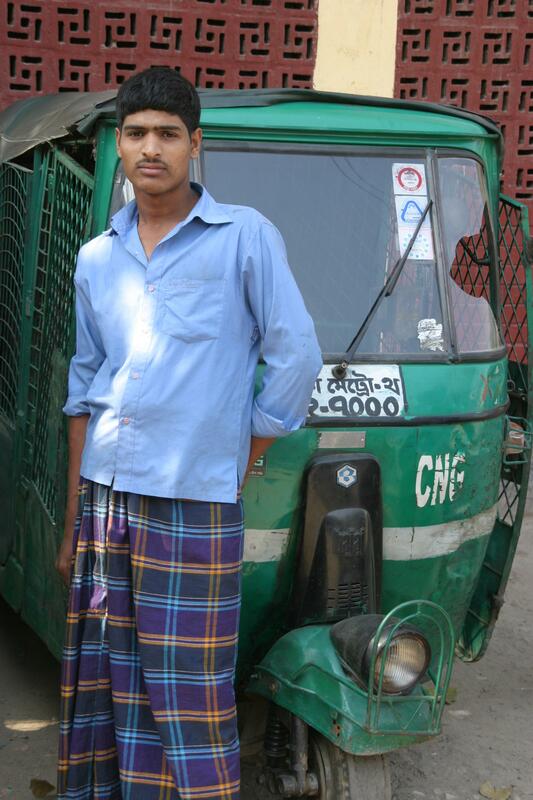 The driver started off by asking for the ludicrous sum of Tk 500 to take me to Karwan Bazar. I bargained him down and he drove off like a maniac. I was on edge — and for good reason. We were waiting at an intersection about five minutes later when a woman with a skeletal looking baby approached the CNG to ask for money. The driver said something to her that made her face turn ashen. She walked away before so much as looking at me. After a few minutes she returned, with eyes full of steely resolve. She muttered something under her breath. The driver hit the accelerator as he loudly cleared his throat. Then he did something completely disgraceful — he spat on the woman and her baby. The CNG was immediately attacked with the walking sticks of other beggars. Despite the fact that I was inside the vehicle being battered, I was silently cheering them on. Once we were clear of the sticks I yelled at him to stop (the words may have been wrong, but the tone is universal). He ignored me for an infuriatingly long time, but when he did stop, it was next to a group of traffic police. When he tried to make me pay the full fare for a five-minute ride, I had back up and he backed off. I hasten to add that as well as having had some errant drivers, I’ve come across many more decent ones. I’m astounded by how many are chivalrous enough to hop out to open the door for me. They have also taught me Bangla by correcting my mispronunciation, and they keep me up to date on the latest Australian cricket team news. Most importantly, they are consistently helpful in finding out where exactly it is I want to go (this can be challenging as I often don’t know). The weirdest CNG ride that I’ve heard about didn’t happen to me — and for that I am eternally grateful. A friend’s brother and his wife were minding their own business in the back of a CNG without side doors. Suddenly a naked man leapt into their vehicle and demanded money. The husband, wishing to be rid of this wholly inappropriate creature, thrust 100 taka into his hands. “How can I dress myself with one hundred taka?” he hollered. He was given another hundred without delay.